We received 8-12″ of snow over the past week; however, it is melting fast especially around town. Gates remain locked. Extreme Late Spring Conditions with dirt spots exposed, rocks, debris and ruts. The trails are very hard and icy in places. If you are riding, please use EXTREME caution when crossing water areas including rivers, lakes, ponds and streams. Gates remain locked and riding is not recommended. Extreme Late Spring Conditions with dirt spots exposed, rocks and debris. Again the trails are very hard and icy in places. If you are riding, please use EXTREME caution when crossing water areas including rivers, lakes, ponds and streams. 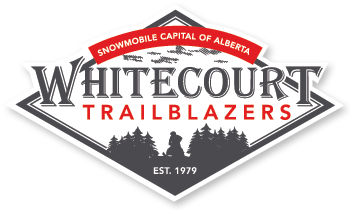 PLEASE NOTE: The Whitecourt Fire Department advised they will be on the walking path behind the FIC for the Community FireSmart series being hosted in Whitecourt next week. The path will be clear of snow from Beaver Creek to the FIC starting this week. There will be about 140 people walking down this path next week.